The Company sells products in all major tool categories including automotive, builders, DIY, gardening, construction, decorating, engineering and has more recently diversified into hobby, leisure and other non tool lines. %%Draper%% Tools has been awarded accolades for the high quality of its products from well known consumer magazines such as Auto Express, Car Mechanics and Practical Woodworking to name but a few! 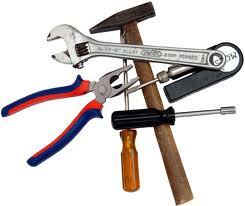 Draper Tools Limited is a family-run company supplying hand tools to industry since 1919. Located in Hampshire, England for over forty years, it now occupies three local warehouse locations amounting to over half a million square feet. Company history: Draper Tools started out in 1919 when the founder, Bert Draper, sold government surplus and tools around the Kingston Upon Thames' markets. This led to the purchase of the original warehouse from which the Draper Tool Company Limited as we know it today was born, although at this time it was know as B.Draper & Son Limited and owned the trademark B.D.S.